In Revelation, we hear the voice of God repeat “I am the Alpha and Omega, the beginning and the end.” Alpha is the first letter of the Greek alphabet and Omega is the last letter of the Greek alphabet. The image of God as Alpha and Omega is an image of completeness. With God things are made complete. This is an important image and theme throughout the Scriptures or Old and New, especially in the book of The Psalms. One of the poetic structures used in some of the Psalms was to begin each verse with each letter of the Hebrew alphabet beginning with the first letter, Aleph, and ending with Tav (the last letter of the Hebrew alphabet). This was one way to signify completeness. The lectionary Psalm for this week, in its entirety, expands upon that structure. Psalm 119 is the longest Psalm. It is separated into sections of 8 verses. The number eight was also a sign of completion. Each of the sections begin with one of the letters of the Hebrew alphabet beginning with Aleph and ending with Tav. Each of the verses within 8-verse section begins with the same letter. For example, in Psalm 119:1-8, each verse begins with Aleph. So, this is completeness within completeness!! Psalm 119 honors the Holy Word of God. The structure of this particular Psalm may reflect the ancient view that the Scriptures were completely Holy. It may also reflect their image of God as complete. 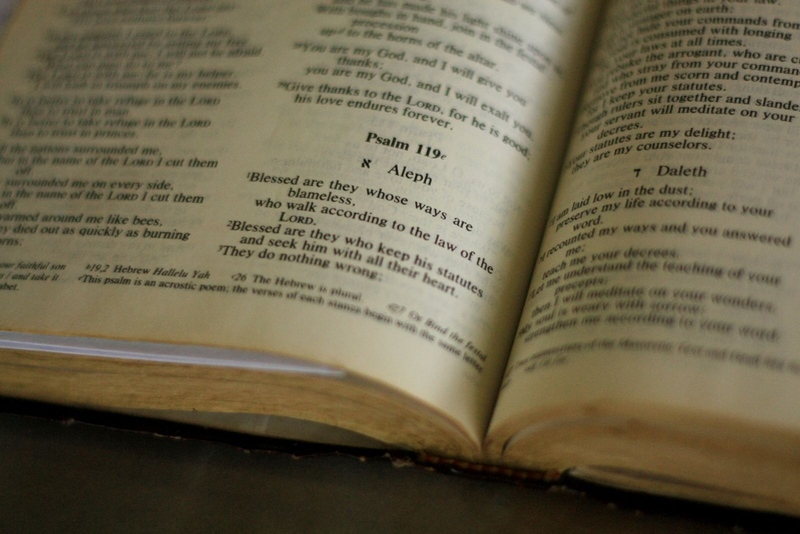 As you read Psalm 119, either the first 8 verses represented in the lectionary this week, or in its entirety, notice all the many different ways the Holy Scriptures are described (statutes, laws, decrees, commandments, etc.) All of these different names for Scriptures try to paint a complete view of the Holy Word. Which names for the Scriptures speak to you? How do you refer to the Bible? What image brings you comfort? You may be asked this question again…<hint, hint>!